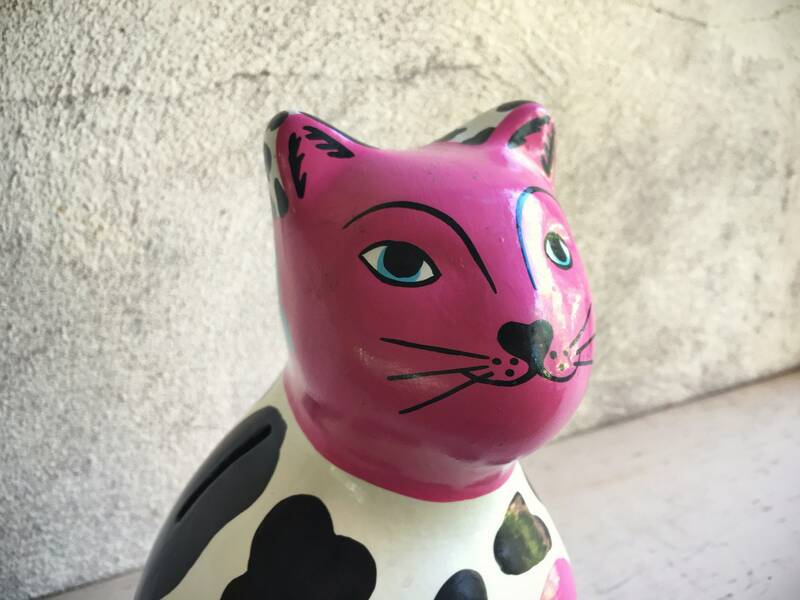 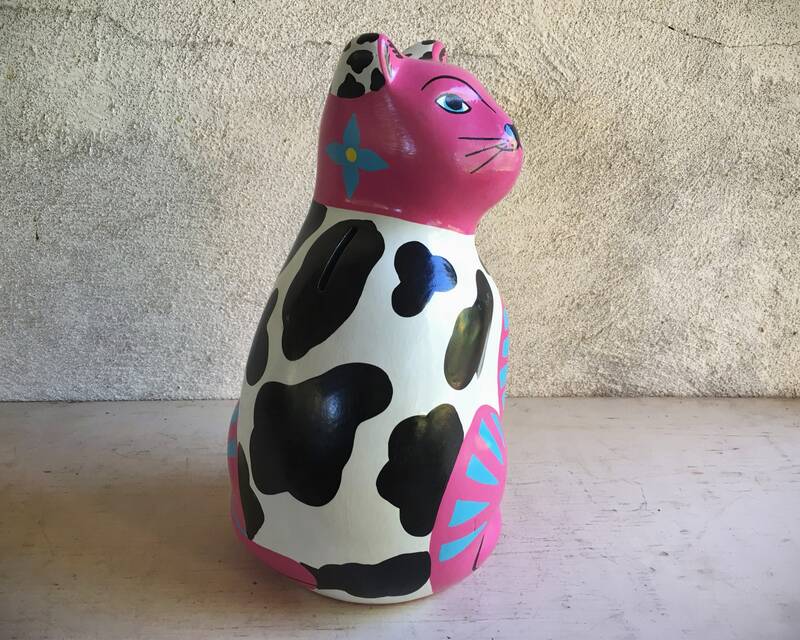 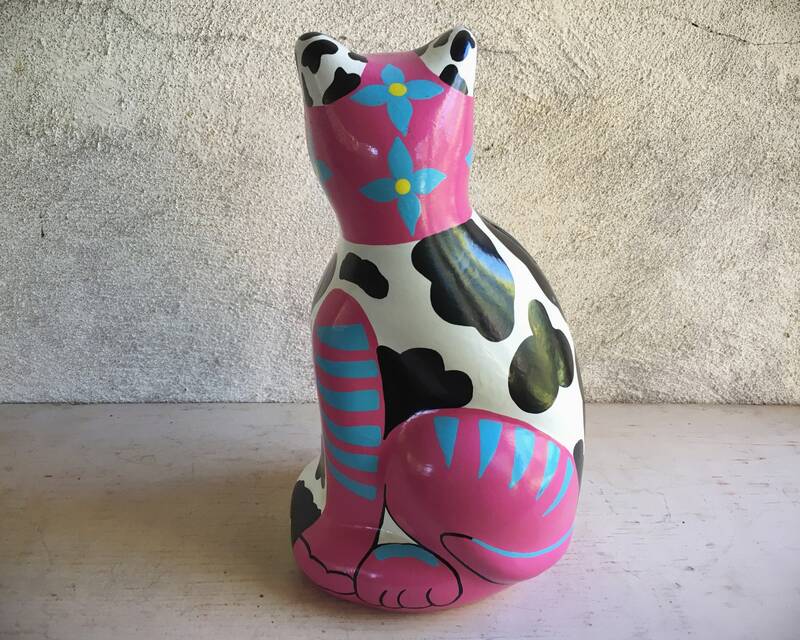 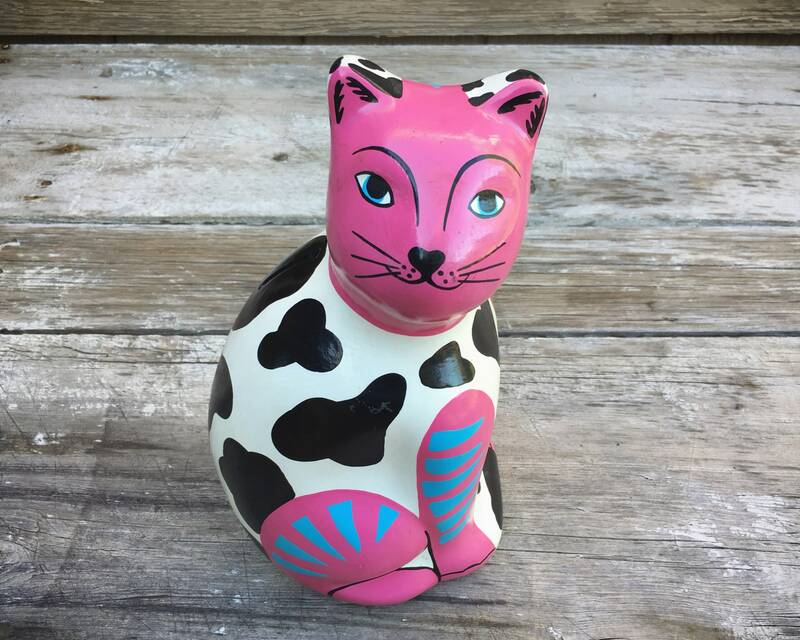 Here is a purrfectly adorable cat money bank from Mexico, hand painted and signed on the bottom, and made in a Yucatan town. 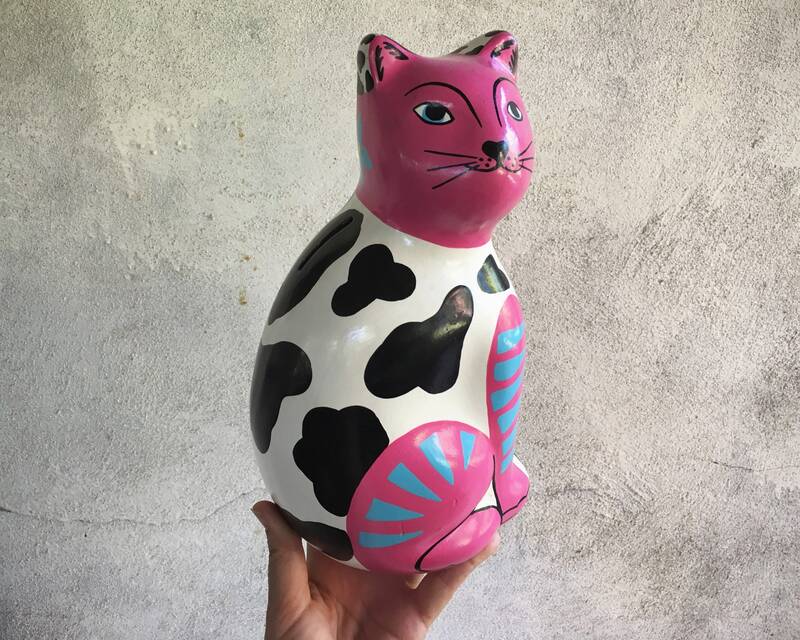 The cat is pink and black and white with bits of blue, and still has the original gold foil sticker as well as the plastic stopper. 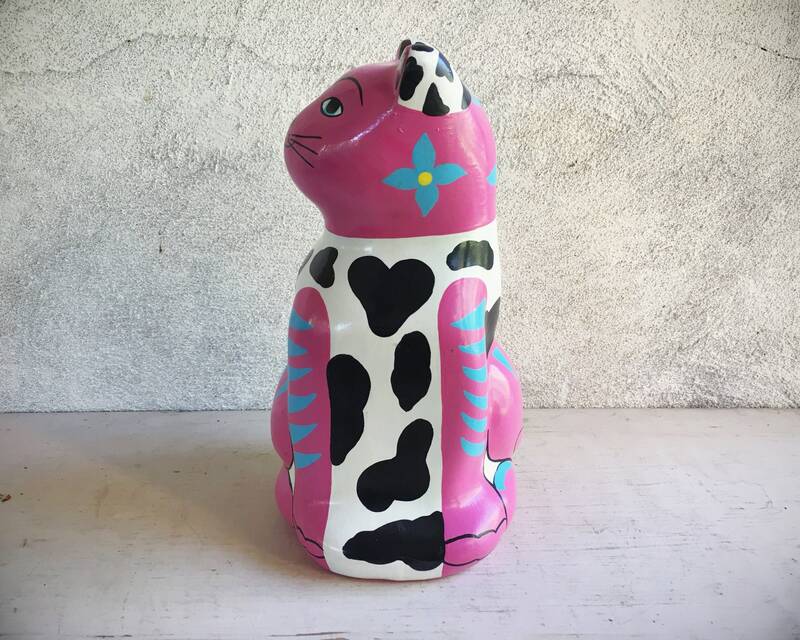 Although he was meant to be used as a coin bank, he appears to have only been a statue/figurine. 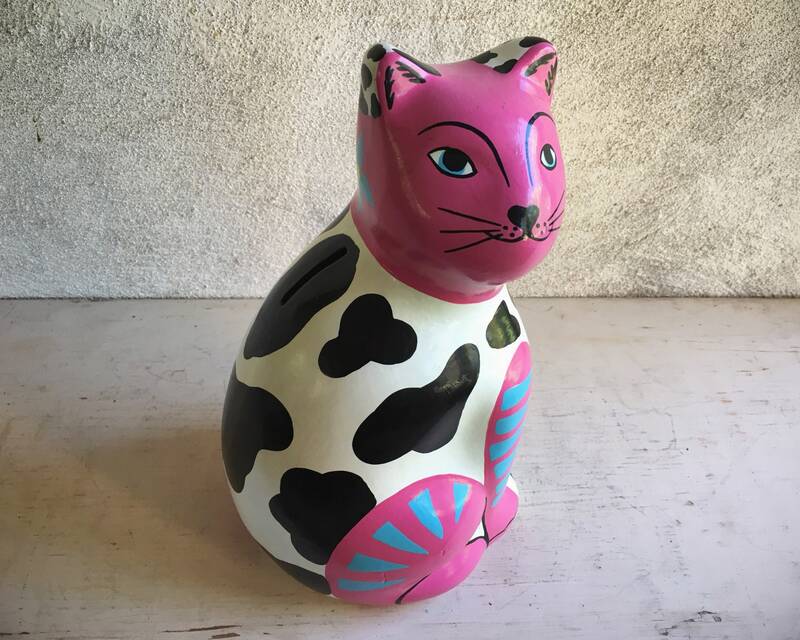 Measures about 10-1/2" tall with a base of 5-1/2" by 5-1/2". 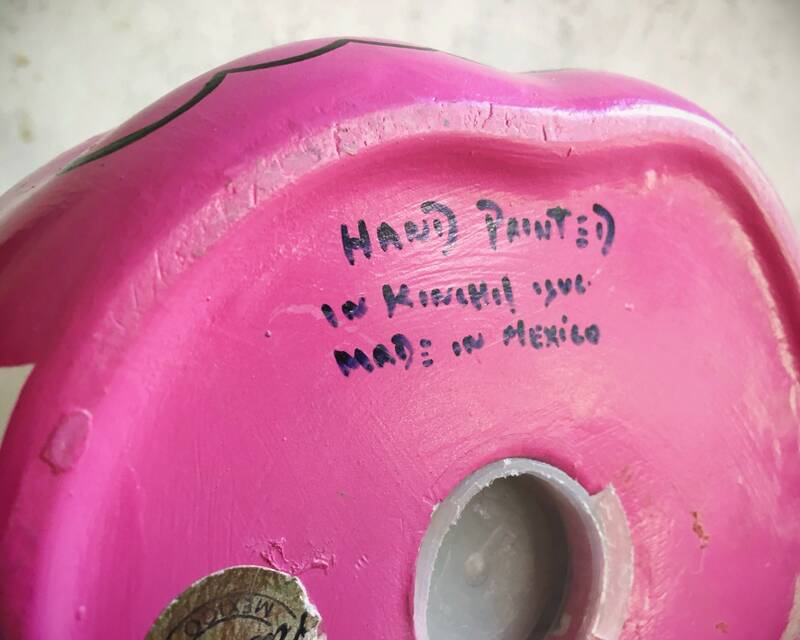 There are pre-production smears but no chips nor cracks. 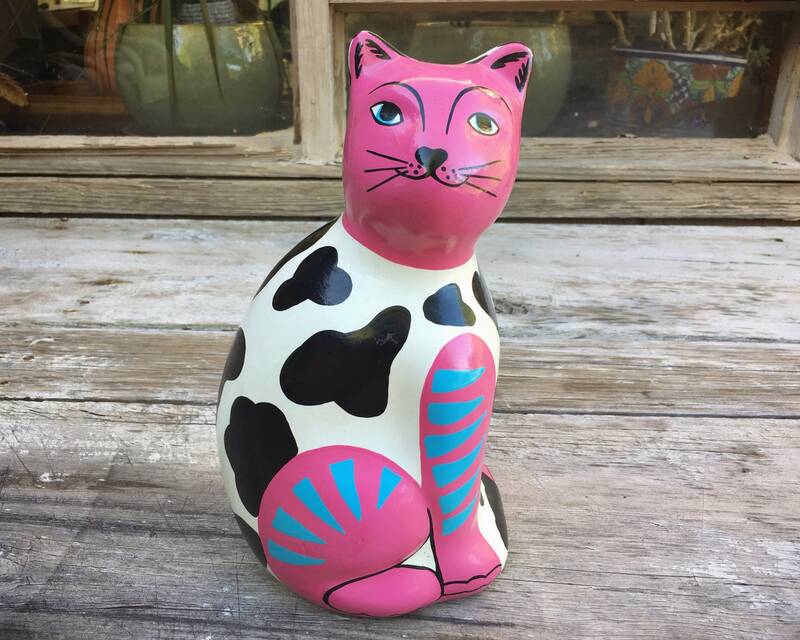 Pink and paw-some, will love you fur-ever and I'm not lion about that!